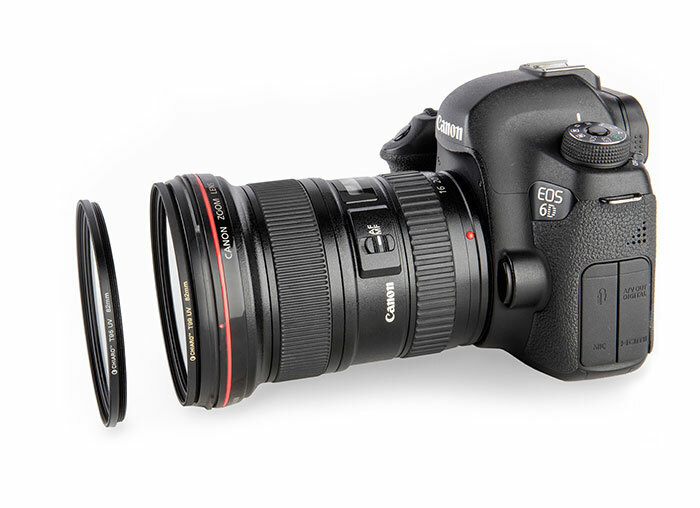 A lens filter is one of the simplest pieces of photography gear you'll buy. So why should it be so difficult to understand? If you've ever shopped for a lens filter, you probably have some idea of what we mean. The industry is filled with impressive-sounding jargon without real data, making it difficult to understand why one filter is better than another in real-world terms. We were tired of the lack of transparency. That's why our motto is Honest Glass. We made it our goal to figure out exactly what makes a great lens filter, how to measure it in an objective, standardized way, and empower photographers by sharing all of our findings. Here's how our journey unfolded. The Genesis: What's in a Filter? When we set out to explore the possibility of entering the lens filter market, we knew what our ultimate goal was: to offer top-notch products that would serve photographers' needs honestly and effectively. To that end, we did some homework. We studied the evolution of the lens filter, the concerns and needs of the photography community, the features and qualities of the most popular and respect lens filters, and the trends of the market. What makes a good lens filter? As photographers ourselves, we took care to put aside any preconceptions we might have had. We questioned anything we thought we knew. And by stripping away all of our assumptions and taking a clear, hard look at the market, we began to realize that the world of lens filters was a lot hazier than we expected. But why should a lens filter—especially a UV filter—be so difficult to understand? It's one of the simplest pieces of photography gear you'll buy: essentially just a flat piece of glass in a metal frame. And yet a satisfying explanation of what makes a quality lens filter was remarkably difficult to come by. Brands, we noticed, were using a lot of impressive-sounding terminology to describe their products without offering much in the way of explanation or clear definition. When we reached out to them for clarification, they either gave us unclear answers or just sent us brochures with more marketing. 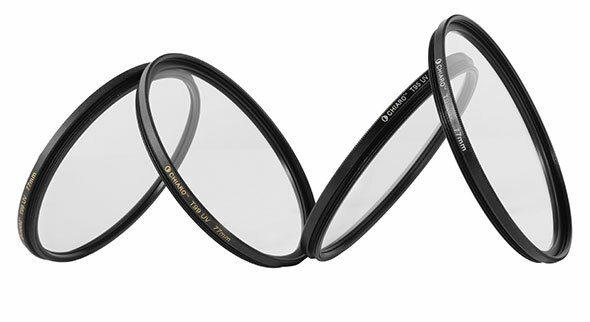 And when we surveyed the photography community through blogs, forums, and direct outreach, we noticed that most photographers' assessment of lens filters was based either on the same marketing terms the brands were using, e.g., multi-coating, Schott glass, and glass thickness, or on anecdotal experiences that weren't being measured in any consistent or quantifiable way, e.g., lens flare, contrast, and ghosting. What this told us was that the manufacturers' habit of competing on buzzwords rather than measurable quality had resulted in a lot of ambiguity for photographers, who were left to try to figure things out on their own. If a UV filter could accomplish all of these things while protecting the camera lens, we reasoned, it would serve its function well. With further research, we came to discover that all three of these qualities could be grouped into the larger concept of light transmission: the amount of light transmitted by the filter unchanged. This simplified our shortlist into a single item. Better yet, we realized that the optics industry had already developed standardized methods of measuring light transmission using a tool called a laser interferometer. With this, we had struck solid ground. This was exactly what had been looking for: a single straightforward and quantifiable way to determine the quality and effectiveness of a lens filter's optics. From here, all of the other elements began to fall into place. We soon realized that all of the optical features that brands boasted about were merely elements that helped to increase the light transmission. Thus, if photographers were given a standardized measurement of every filter's optical performance, all of those “features” would become irrelevant to their purchasing decision. This led to a revised mission for Chiaro. 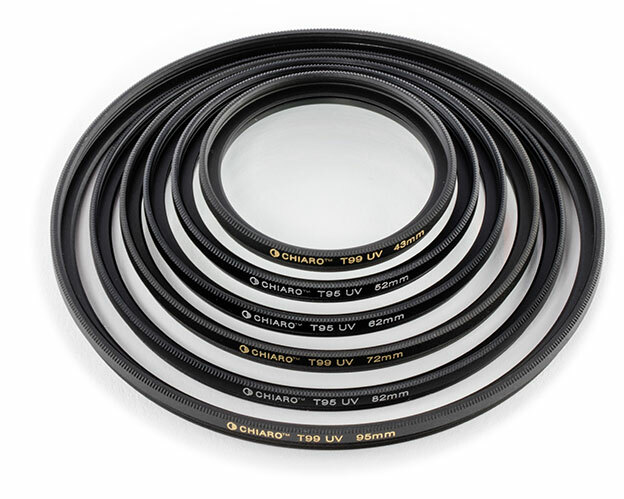 Not only would we strive to make top-quality filters with great optics, we would also attempt to reshape and reframe the lens filter industry by sharing clear, standardized measurements of light transmission for the most popular lens filters on the market. Data has grounded us every step of the way since then. We sought out an independent ISO-certified laboratory to conduct in-depth testing on the most popular and respected filters on the market, comparing their actual performance and features to their marketing claims. We used the same ISO facilities to test and refine our own filters throughout our product development process to ensure that our top filters would compete with the best in the industry. Finally, we combined these carefully tuned optics with the design features that photographers value most, including thin mounts, resistance coatings, and brass frame options, resulting in a full lineup of UV filters that serve photographers at every budget level. We don't claim to be the first lens filter manufacturer to mention light transmission (you'll see a few other brands mention it in passing amid their jargon). But we are the first to give it the attention and prominence it deserves, to offer standardized measurements alongside all of our competitors, and to resist selling you on features and buzzwords that don't really matter. In an age when photographers expect to be able to empower themselves with knowledge, the filter industry needs a good shot of honesty. We hope Chiaro will lead the way.